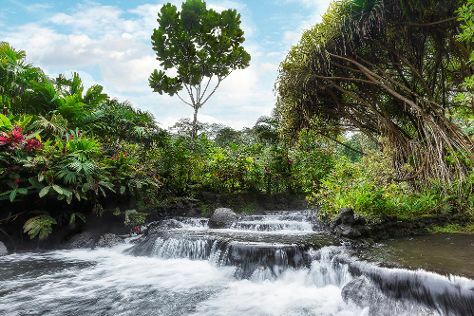 Explore San Jose's surroundings by going to La Paz Waterfall Gardens (in Vara Blanca), Toucan Rescue Ranch (in San Isidro) and Poas Volcano (in Poas Volcano National Park). There's lots more to do: explore the wealth of natural beauty at Irazu Volcano National Park, take a memorable tour with Tours, contemplate in the serene atmosphere at Our Lady of the Angels Basilica (Basilica de Nuestra Senora de Los Angeles), and explore the world behind art at Precolumbian Gold Museum. For other places to visit, maps, more things to do, and other tourist information, read our San Jose travel site . Washington DC, USA to San Jose is an approximately 8.5-hour flight. You can also drive. The time zone difference when traveling from Washington DC to San Jose is minus 1 hour. While traveling from Washington DC, expect a bit cooler days and about the same nights in San Jose, ranging from highs of 81°F to lows of 67°F. Finish up your sightseeing early on the 7th (Fri) so you can go by car to Manuel Antonio. Take a break from Manuel Antonio with a short trip to Horseback Riding Tours in Jaco, about 1h 15 min away. Spend the 11th (Tue) on the water with a fishing tour. Pack the 13th (Thu) with family-friendly diversions at Rancho Tipico Don Juan. Next up on the itinerary: stroll through Playa Manuel Antonio, stop by Meli Melo Boutique, kick your exploration up a notch at some of the top local zipline courses and adventure parks, and fly like a bird with a parasailing or paragliding tour. For more things to do, traveler tips, ratings, and tourist information, go to the Manuel Antonio trip itinerary maker tool . Traveling by car from San Jose to Manuel Antonio takes 3 hours. Alternatively, you can take a bus; or take a shuttle. Cap off your sightseeing on the 14th (Fri) early enough to go by car to Uvita. Change things up with these side-trips from Uvita: San Buenas Golf Course and Condos (in Ciudad Cortes) and Kokopelli (in Sierpe). Spend the 16th (Sun) exploring nature at Parque Nacional Marino Ballena. And it doesn't end there: take your sightseeing to a higher altitude at Chirripo National Park, ride a horse along Rancho La Merced National Wildlife Refuge, take in the dramatic scenery at Nauyaca Waterfalls, and skim along the rocks with a canyoning and rapelling tour. To see where to stay, maps, traveler tips, and more tourist information, read our Uvita trip website . Traveling by car from Manuel Antonio to Uvita takes 1.5 hours. Alternatively, you can take a bus. Cap off your sightseeing on the 20th (Thu) early enough to go by car to Drake Bay. Step out of Drake Bay with an excursion to Piedras Blancas National Park in Golfito--about 2 hours away. Spend a day of island exploring on the 21st (Fri) at Cano Island. Spend the 22nd (Sat) observing fascinating marine mammals with a dolphin and whale watching tour. To see reviews, more things to do, where to stay, and other tourist information, you can read our Drake Bay trip maker app . You can drive from Uvita to Drake Bay in 3 hours. Alternatively, you can do a combination of bus and ferry. Wrap up your sightseeing on the 25th (Tue) early enough to drive to Tortuguero. On the 26th (Wed), explore the wealth of natural beauty at Tortuguero National Park. On the 27th (Thu), you'll have a packed day of sightseeing: add some adventure to your tour with a kayaking and canoeing tour and then learn more about the world around you at Sea Turtle Conservancy Visitor Center. 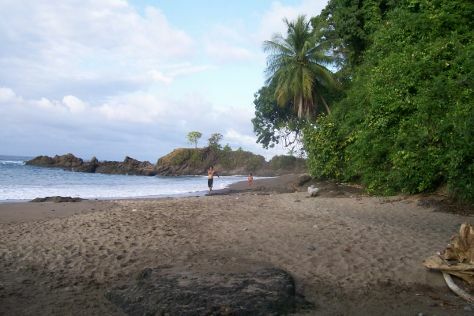 Planning Tortuguero trip won't be overwheling when you use's Insprock itinerary maker. Drive from Drake Bay to Tortuguero in 9 hours. Alternatively, you can take a bus; or take a bus. 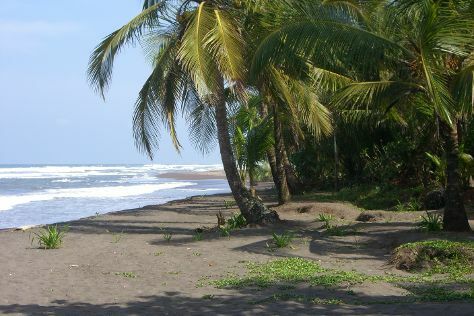 In June in Tortuguero, expect temperatures between 86°F during the day and 74°F at night. On the 27th (Thu), wrap the sightseeing up by early afternoon so you can drive to La Fortuna de San Carlos. La Fortuna de San Carlos is known for nature, adventure, wildlife, trails, and parks. Your plan includes some of its best attractions: soothe aching muscles at Tabacon Hot Springs, take in the natural beauty of Ecotermales Fortuna, relax and float downstream with a rafting and tubing tour, and get interesting insight from Tours. To find reviews, more things to do, ratings, and tourist information, use the La Fortuna de San Carlos tour itinerary planner . Traveling by car from Tortuguero to La Fortuna de San Carlos takes 3.5 hours. Alternatively, you can take a shuttle; or do a combination of taxi and bus. Finish up your sightseeing early on the 5th (Fri) so you can go by car to Monteverde. Step out of Monteverde to go to Puntarenas and see Guacimal River Bridge 2, which is approximately 1h 25 min away. There's lots more to do: identify plant and animal life at Monteverde Cloud Forest Biological Reserve, take in the views from Santa Elena Skywalk, take in nature's colorful creations at Monteverde Orchid Garden, and whizz through the canopy at some of the top local zipline courses and adventure parks. To find more things to do, reviews, ratings, and other tourist information, read our Monteverde itinerary website . Getting from La Fortuna de San Carlos to Monteverde by car takes about 3 hours. Other options: take a shuttle. Wrap up your sightseeing on the 12th (Fri) early enough to drive to Playa Samara. Explore Playa Samara's surroundings by going to Nicoya (Cabo Blanco Absolute Natural Reserve & Barra Honda National Park), Nosara (SIBU Wildlife Sanctuary, Nativa Gallery, & more) and Jungle Butterfly Farm (in Nandayure). And it doesn't end there: kick back and relax at Samara Beach, view the masterpieces at Koss Art Gallery, admire the sheer force of Belen Waterfall, and tour the pleasant surroundings at Barrigona Beach. To find maps and tourist information, read Playa Samara tour itinerary planning tool . Getting from Monteverde to Playa Samara by car takes about 3 hours. Other options: do a combination of shuttle and bus; or take a bus. 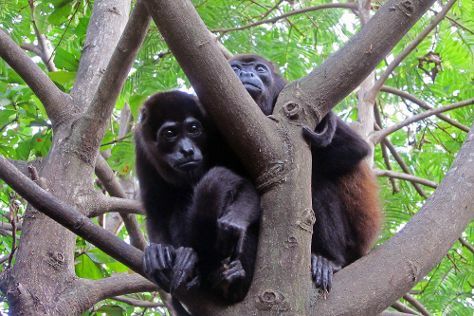 Finish up your sightseeing early on the 17th (Wed) so you can go by car to Area de Conservacion Guanacaste. Get out of town with these interesting Area de Conservacion Guanacaste side-trips: Liberia (Church of La Ermita La Agonia, Souvenir Ocarina, & more). Spend the 20th (Sat) among the fascinating landscape of Parque Nacional Volcan Rincon de la Vieja. To see ratings, photos, where to stay, and more tourist information, read Area de Conservacion Guanacaste online travel route planner . You can drive from Playa Samara to Area de Conservacion Guanacaste in 3 hours. Cap off your sightseeing on the 22nd (Mon) early enough to go by car to Tamarindo. Venture out of the city with trips to Playa Conchal (Playa Conchal & Garra de Leon Golf Course), Playa Hermosa (in Playa Hermosa) and Rojas Bros Boruca Indigenous Arts (in Playas del Coco). Saddle up on the 29th (Mon) and explore with a tour on horseback. The adventure continues: kick back and relax at Tamarindo Beach, stroll through Playa Avellana, take a tour by water with Boat Tours & Water Sports, and take in the architecture and atmosphere at Tamarindo Church. To find where to stay, reviews, other places to visit, and other tourist information, read Tamarindo online tour planner . You can drive from Area de Conservacion Guanacaste to Tamarindo in 2 hours. On the 30th (Tue), you're off tohome.